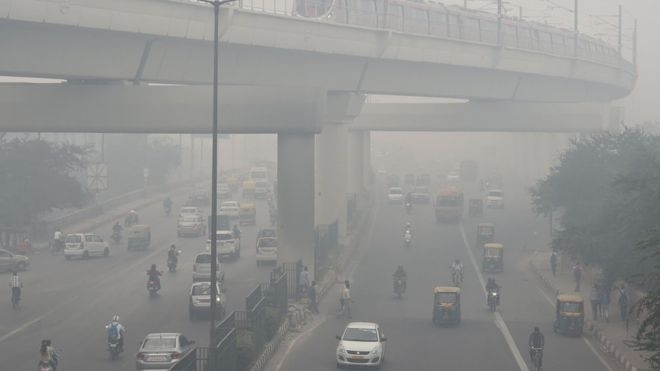 AKIPRESS.COM - Panic gripped the Indian capital Delhi on Monday as residents woke up to a blanket of thick grey smog ahead of Diwali, the festival of lights, BBC reports. Visibility is poor as pollution levels reached 20 times the World Health Organisation's recommended limit. The air quality is expected to worsen in the coming days due to the use of firecrackers, experts have warned. Indian cities regularly dominate global pollution rankings for the worst air quality. The Supreme Court has restricted the timeframe for setting off firecrackers to only two hours during the day - but experts believe this curfew will be hard to implement.